My last blog talked about hitting the refresh button at the start of 2014, shaking off the bad or embracing the good as the giant ball dropped at Times Square. I mentioned the importance of hitting the ground running in 2014 and today had the opportunity to listen to a group of networkers talk about just that and for some the first few weeks were already promising. 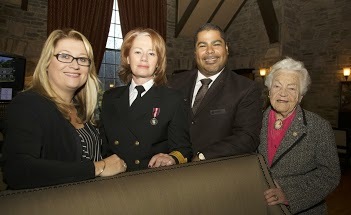 As the first meeting of the year, for this networking group, many reported success in 2013 over the previous year. How did they know. They track their business. Now for some of you that’s a no brainer. The sales pipeline – I think we all understand the importance of filling the hopper/pipeline with prospects to help take the peaks and valleys out of the business cycle. When we are busy it is difficult to remember that new leads may take months to emerge as business, but it is vital that we keep looking for new customers even during peak periods. Every business is different in terms of the length of time required to turn a lead into a sale, so first understand your own cycle. Equally important, is to track the leads so you know where to put the effort/money to build the business. Ask people how they heard about you. And track what activity – advertising, website, social media, newsletter, networking – generated the business. Conversion rate – So we are really good at generating leads but not so much at converting those leads into sales. How many leads do you need to generate the business you require to meet your revenue targets. If you need 10 new customers a month (average sale $2,000 a month) to meet your target and your conversion rate is 25% then you must generate 40 new leads a month. Understanding this dynamic helps you to manage the business throughout the year and make adjustments as required. Cost of New Business – Tracking leads and where they came from tells you what activity is generating new business but it’s also important to know at what cost. Using our example in #2, we know that we need 10 new customers or $20,000 each month to meet our targets, But what did it cost to get that $20,000 in new revenue? You paid to generate 40 leads, remember. Knowing the cost, and what activity generated the revenue, is fundamental in managing your business. Customer satisfaction – It’s more expensive to generate a new customer than it is to keep an existing one. If you are growing your business 10% a year but losing the same amount, you need to know why. I have talked at length about how important it is to talk to your customers. 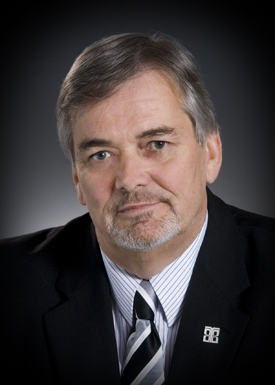 Develop an advisory board to help you provide an excellent service level. Survey your customers. Seek out testimonials from satisfied customers. Happy customers can provide excellent referrals. Track the details. What is the customer spend? What happens year on year? Can you raise the spend with incentives? Profit & Cash Flow- Profit is what drives the bus, but cash flow fills the tank. Expectations around profit are different for every business, but understanding what impacts profit helps you to better determine what adjustments might have to be made to expenses or revenue. That analysis needs to take place monthly -don’t wait until November to determine that the wheels fell off along the way. Cash flow – You need cash flow to run a business. It doesn’t matter how much money is coming in down the road if you don’t have enough money to get from here to there. It’s the difference between what comes in and what goes out. Make a list of what’s coming in – customer payments, collection on bad debts, interest or investment earnings, etc. Include when it will be coming in. Make a similar list of money going out – payroll, monthly overhead, accounts payable or other debt, taxes payable, equipment purchases, marketing expenses, etc. Now, track what actually happens. Set up an Excel spreadsheet with your projections and the actual numbers. (You can also find worksheets online) It will help you see what needs to be adjusted. 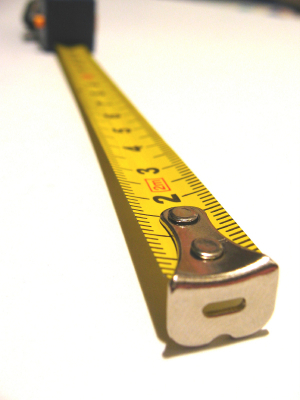 There are many metrics in business, and each business may have its own measuring tools. The point here is make sure you measure results. It can be the difference between success and failure. Traditional marketing is dead. No, really it’s dead. It’s pining for the fjords. We have all seen what’s happening to newspapers, declining revenues, layoffs. Television is a landscape in flux, with Netflix and alternative online viewing options that bypass advertising, at least for now. And Content Marketing is rising like the Phoenix – attracting and retaining customers by creating content that attempts to change or enhance a consumer behavior. Fewer hard sells from pitchmen, but rather information that makes the buyer more intelligent. At its essence is the belief that a smart content strategy delivers ongoing valuable information to buyers, who ultimately reward us with their business and loyalty. Building a relationship of trust is important to customers who need information to make smart buying decisions. That’s why networking is such an effective tool in the B2B world. It takes time to build trust but once it’s there, relationships blossom. 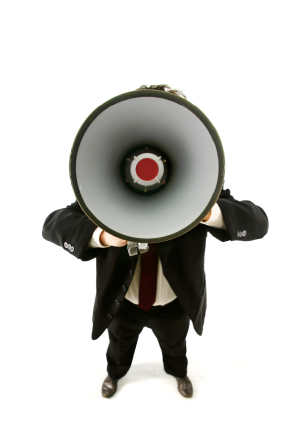 Traditional marketing still relies on a we talk you listen. And for most of us, that doesn’t cut it anymore. I am fascinated by people who create products or services that outwardly seem to have little chance of success, but somehow rise to the occasion. Equally fascinating are the big names that launch products that seem to stray so far for the knitting that you wonder what was going through their heads. For instance Cosmopolitan knows something about magazines but its yogurt lasted 18 months. Life Savers, one of the top brands in non-chocolate candy and mints, failed miserably in the soda business. Coors Rocky Mountain Spring Water failed because it was missing the key ingredients of barley and yeast. Colgate Kitchen Entrees did not exactly get taste buds tingling. Pepsi AM and Crystal Pepsi ignored the fact that consumers expected their cola to be brown. Bic tried to expand its disposable razors and lighters to disposable underwear? 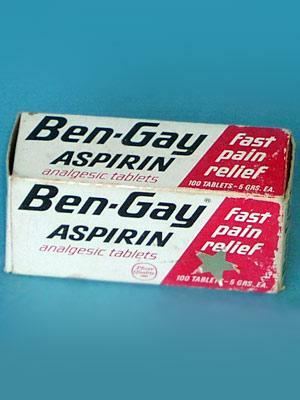 Ben-Gay cream, great for aches and pains, tried an aspirin but the idea of swallowing Ben-Gay was not so appealing. And there was new Coke, the Edsel and the list goes on and on. See Top 25 Biggest Product Flops of All Time . 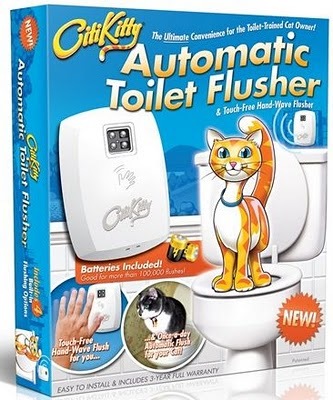 Then there is Strange New Products and they have a whole list of stuff that is, well, strange like this Automatic Toilet Flusher for cats. Or the hairbrush for bald men. And Bacon Shaving Cream. 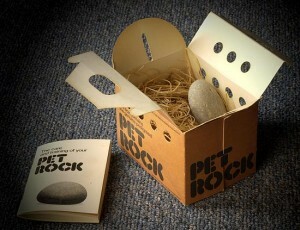 We all remember strange products that took off for a while like the Pet Rock? The website 24/7 Wall St. reviewed product categories that generate widespread attention and command lasting loyalty. It then identified individual products that had the highest sales in those categories – the 10 best-selling products of all time. Then there are the misfits; the most unlikely to succeed like the Pet Rock. In the 1970′s it was the “perfect pet”. No need to be feed, water, walk or bathe. Gary Dahl, an advertising executive from California bought a bunch of stones from a builder’s supply store, packaged them in cardboard boxes with holes (so the rocks could “breathe”), and marketed them as serious “pets”. 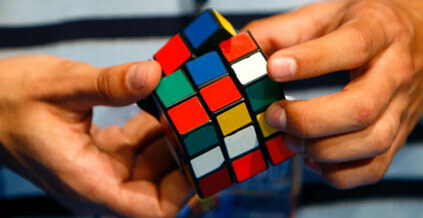 Lorna Li lists nine other seemingly stupid ideas that made millions at 10 Stupid ideas that made millions. Our world is changing exponentially and while services like Facebook and Twitter were inconceivable a generation ago, they are the driving force in promoting new ideas, services and products today. 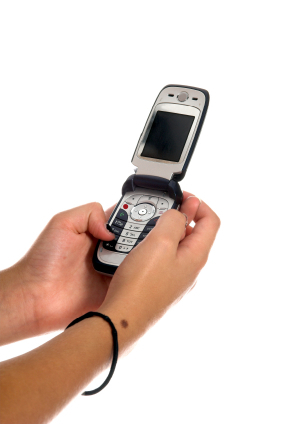 About a year ago I watched my 15-year-old grand-daughter text her girlfriend, who was sitting opposite on the couch. My wife thought it was a secret conversation that perhaps they didn’t want to share. But since then, some of my friends have shared similar experiences with today’s youth and I am concerned that they will lose the skill that will best elevate their careers, promote their businesses, advance their cause. Word of mouth. Word of mouth is the cash cow of marketing. Yet, we seem to go to great lengths to avoid our customers. Are we afraid of what they might say? Do we lack confidence in our product or service offering? Strange, perhaps, that social media is forcing us to acknowledge that being social is good for business. The tools are there to help build on that social interaction not create a barrier between you and your customer. And for businesses that get it, tools like Twitter and LinkedIn, Facebook and Pinterest provide a foundation on which to build a strong business relationship that ultimately means face time and that’s where business begins.